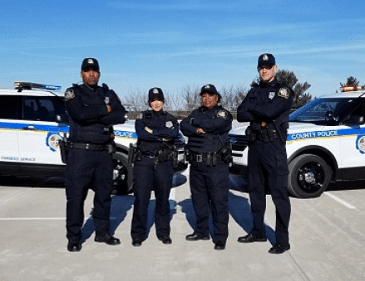 The Baltimore County Police Department, in conjunction with County Executive Johnny Olszewski, announced the beginning of police uniform and vehicle conversions on Friday. Officers will now wear baseball caps with the police logo and dark blue, rip-stop, cargo-style trousers. They will continue to wear the current uniform shirts, however, the body armor vest will be worn externally (over their uniform shirt). The external body armor vest is designed so that officers can attach, carry and access items that are currently worn on their police belt, as well as medical equipment (latex gloves, tourniquet). The new vests will provide easier and quicker access to their equipment and will lighten the amount of items carried on their police belt. “The health and safety of our officers as they continue serving our community is of utmost importance. The new exterior vests are designed to have the look of our uniform shirts while providing our officers with faster access to the necessary items needed to perform their many duties,” said Police Chief Terrence Sheridan. Thus far, 250 officers have been outfitted with the new uniform. Officers in the Dundalk Precinct were issued the new uniform on Friday. Officers will begin wearing the new uniform immediately. 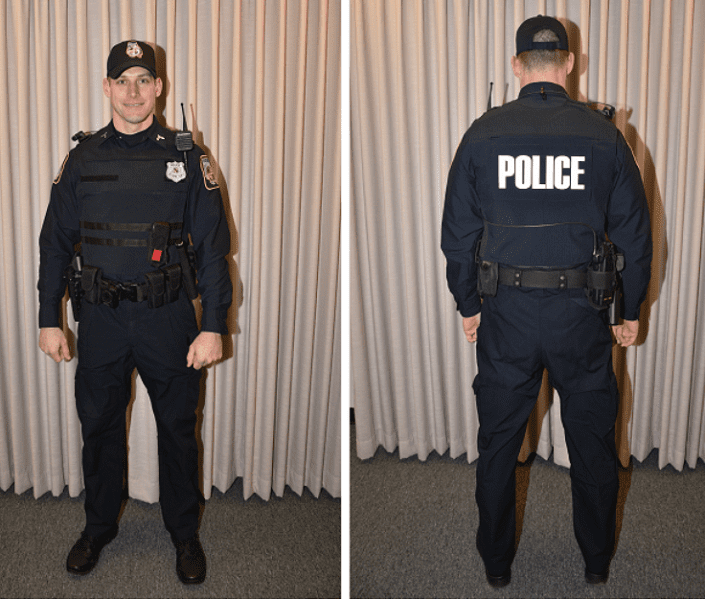 The public should expect to see both the present and new uniforms on police officers while BCoPD completes the uniform conversion process in stages by precinct. 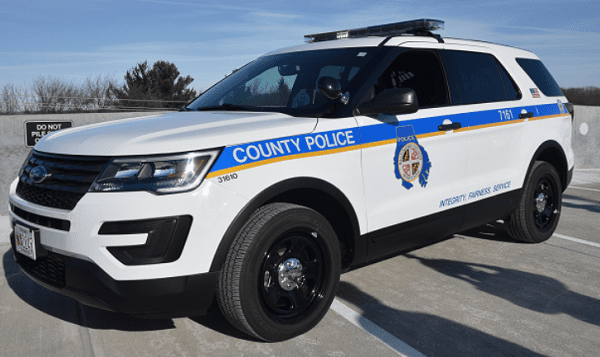 The Baltimore County Police Department will also be converting 252 vehicles in the police fleet to a new Ford Police Interceptor Utility, modeled after the Ford Explorer but designed for police use, following the end of production of the Ford Interceptor sedan. The department began converting to the Ford Interceptor sedan, modeled after the Taurus, in December 2013 when the Ford Motor Company discontinued manufacturing the Crown Victoria. The department will begin replacing the current inventory of Ford Interceptor sedans this month and continue in stages over the next year, with an expected completion date of May 2020. The existing fleet of Ford Interceptor sedans will be re-purposed or sold at auction. The first 50 new Police Interceptor Utility vehicles were purchased at a cost of approximately $2.6 million and will be put into service in January, including four that have been assigned to the Baltimore County Police Training Academy. The Academy began training officers in the functionality and use of the vehicle this week in a hands-on driving course designed to promote familiarity with the features and capabilities of this new vehicle. All members of the agency will complete a driver training course using the new Police Interceptor Utility, including practicing routine and high-risk traffic stops. The Police Interceptor Utility also provides additional safety features not found in previous police vehicles, including side curtain airbags in addition to frontal and other air bags. This vehicle also provides better crash resistance, utilizing all-wheel drive (AWD), traction control and rear stability control. It has the ability to withstand a rear impact collision up to 75 mph. The Police Interceptor Utility is just as visible as the Taurus is, equipped with an enhanced (LED) lighting package inside the headlamps and taillights. It is also the only pursuit-rated SUV designed for law enforcement available. The Police Interceptor Utility adds additional head and shoulder room for officers, as well as an additional cargo area. The gas mileage is comparable to the Taurus Interceptor, and many of the parts (wheels, tires, brakes) on this new vehicle interchange with the Taurus Interceptor.